Outward signs don’t always give a full picture of what’s going on within. Some of the fattest, shiniest horses I’ve seen have some of the worst dental problems. One horse in particular, we’ll call him “Roper,” was such a horse. 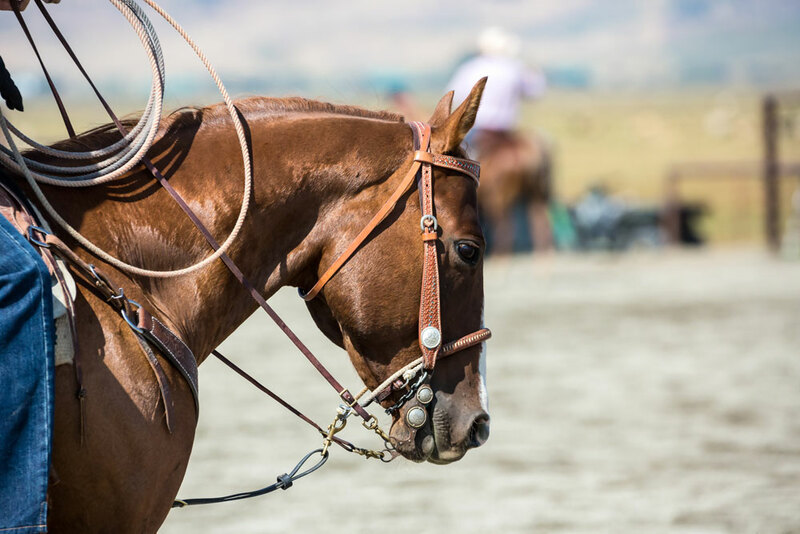 He’d won a lot of money team roping, and his owner was certain that nothing would be wrong with Roper’s teeth. Roper hadn’t been checked for several years, as he wasn’t showing any signs of problems. I told the owner that if I found no abnormalities, the dental exam would be free. The owner was a nice man, and he agreed to the exam. I sedated Roper, buckled the oral speculum onto his head, clicked it open and lit up his mouth. At first glance, everything seemed normal. I noticed a few sharp points here and there, and I was preparing my lecture about the benefits of reducing the points, when I saw something strange in the back of Roper’s mouth on both sides. I couldn’t figure out what I was looking at. I tried to open the speculum wider, but it wouldn’t budge. Finally I slid my hand along the horse’s tongue until I reached the weird structures. They were extra molars that had erupted from the upper arcades. Horse teeth erupt continuously, and if there is no opposing tooth to wear them down, the teeth will reach unnatural heights, doing damage wherever they hit. In this case, the extra molars had grown down into the lower jaw, creating deep, infected holes where they dug and pressed constantly into the tissues. I palpated around the lower jaw where the molars were embedded, realizing that at least half an inch of impacted tooth was damaging Roper’s jaw bone. No question about it—these teeth would have to be reduced, and I didn’t have a clue how I would do it. And how in the world had this horse not indicated somehow that something was gravely wrong in his mouth? I gave it my best shot. I had a variety of hand floats and thought maybe I could hand-file a groove into each molar and snap them off with a long molar cutter, but no such luck. There was so little room in the back of the mouth that my float just kept bumping up against the sensitive tissues, stopping dead. I tried reaching it from the inside. No luck there either. I tried opening the horse’s mouth wider but couldn’t. My molar cutters wouldn’t grasp the tooth, skidding repeatedly off the hard enamel. After wrestling in the mouth for almost 45 minutes and getting nowhere, I gave up and called Dr. George Platt, my colleague and mentor. He owned a power float, something I still hadn’t gotten around to purchasing at the time. I asked if I could borrow it, trying not to think of all the times I’d insisted that teeth should be hand-floated. I still couldn’t cut the molars down. I tried every angle and every approach that I could think of, but nothing worked and the stubborn structures continued to bore into the poor horse’s jaw. The owners were patient with me, but I could see their frustration as I failed again and again at reducing the horrible teeth. I called George a second time, and he came down to the farm to give me a hand. I watched as he tried the same series of approaches that I had. Finally, he stopped, panting, and looked at me with a rueful grin as sweat poured down his face. I shook my head and asked what else we could try. He thought for a while, then brightened as he walked quickly to his truck, an old blue-green Ford F-250, and yanked open the door to the vet unit in the back. He rummaged for a while and finally emerged with a small roll of something resembling wire. I recognized it as a Gigli saw, a flexible, sharp wire often used to cut up dead foals in utero if they couldn’t be extracted by other means. George pushed the wire to the back of the horse’s mouth, placed it around the backside of the long tooth, and carefully began to saw it back and forth. He placed the wire so it wouldn’t cut the tooth too close to the gumline, and soon it was done and the molar had been cut in half. He worked the cut piece free and set to work on the other side, performing an identical operation. Now he could fit the power float under the cut edges of the molars, quickly buzzing the teeth down to where he wanted them. The damage to the lower jaws had finally ceased. I stared at the two pieces of tooth laying side by side on the tailgate of George’s truck. He’d done it so quickly! I picked up a piece almost reverently, and asked him where he’d learned this neat procedure, anxious for him to teach me how to do it. The horse recovered just fine, and after a course of medicine to help his damaged jaws heal, he went on to more competitions and continued to bring home the money. I saw him every six months for followup dental work to keep the molars from reaching such lengths again. George gave me one of the molar fragments, and I still show it to clients who question the need for a good dental exam and dental work on their horses. I bought a power float and a Gigli saw one week later.